I launched my own URL shortening service after acquiring a neat domain. I also went ahead and bought a beautiful, minimalist script from DevUncoded on CodeCanyon marketplace. 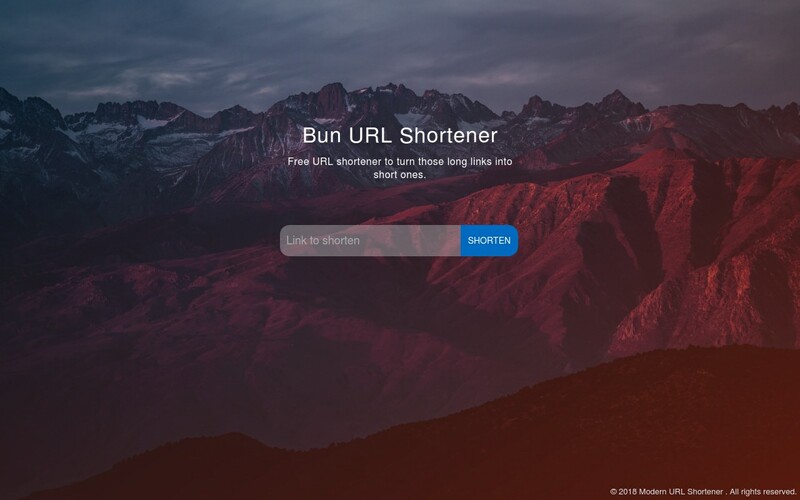 Bun is a one-page URL shortening site that only makes you a redirect. No link statistics or any additional pages because it's meant to be this simple. I already paid for a year of hosting and I will keep this running forever so nobody loses their links. I don't run ads and I don't use the site to make money. Just an elegant solution to shrinking those nasty links for free. HTTPS is now being forced on the site. Also getting lots of traffic I wasn't expecting!